Cut this page in half and give one to each student. Allow them to search your classroom library to hunt for non-fiction text features such as table of contents, glossary, index, etc. 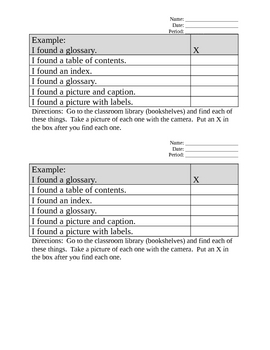 The students can use a classroom camera to take a picture to document their find and then check off their find on the checklist as they work.